Brakebush is a privately owned, value added processor of great tasting chicken products. Brakebush provides a complete line of fully cooked and pre-browned chicken, from tenderloins, wings, popcorn chicken, sliders and breaded or grilled fillets to innovative products like Sriracha Chicken Bites™. For over 85 years, Brakebush has been Making The Chicken That Makes Your Menu™. The Pac-Agri/Lehar Group is the result of a merger between Pac-Agri (est. 1974) and Lehar Sales Co. (est. 1949). The combined companies serve as distributors of poultry, pork, beef, and frozen vegetables throughout Northern California, Northern Nevada, Hawaii and the Pacific Basin. Norbest® is a federated marketing cooperative dealing exclusively with turkeys and value-added turkey products. It is the oldest cooperative organization of its type in the world, and is one of the top turkey marketing firms in the United States. 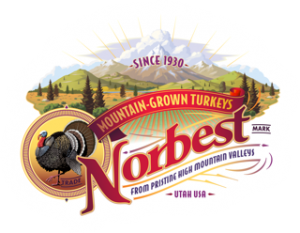 Norbest’s cooperative members include turkey producer/processor cooperatives in the states of Utah and Nebraska, consisting of approximately 41 independent turkey growers.